Chicago is an architecture buff&apos;s playground—it&apos;s even, some have argued, the best architectural city in America. Stay overnight in the marvelous Staypineapple, An Iconic Hotel (formerly the Alise), while visiting the city, and you’ll be staying in a masterwork by Daniel Burnham, urban planner famous for his 1909 plan for Chicago, and architect of many great Chicago buildings, including the Columbian Exposition. 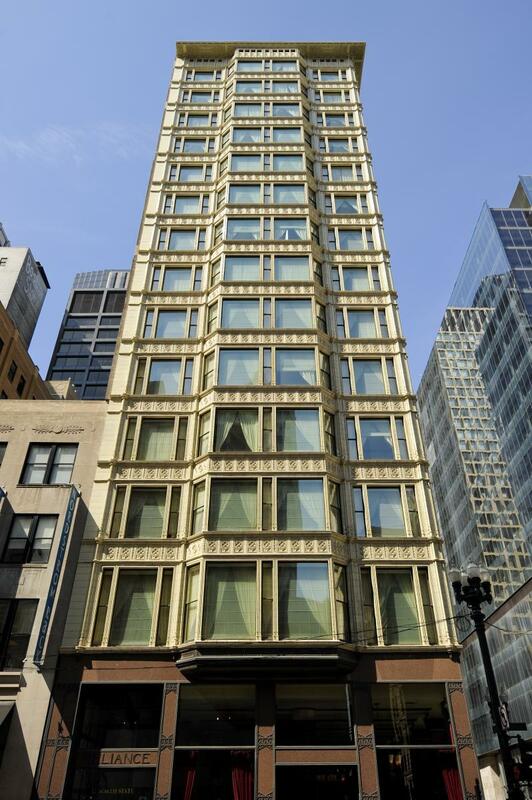 The 14-story structure was completed in 1895 and was the first skyscraper in the world to have large plate-glass windows. As you can imagine, the rooms in this glorious hotel have amazing natural light as a result. After a long period of decline, the building was transformed into a hotel in 1999, and you’ll get a chance to look at the marvelous interior touches and restored staircase during your stay. The lobby of the Staypineapple contains a wealth of information about the hotel’s distinguished architectural history and renovation in the late 1990s. You can look near the elevator bank for a series of informative photo collages that tell about the building’s transformation in detail. It’s a great way to get acquainted with the property, and guess what? From 3 p.m. to 7 p.m. in the lobby there are complimentary refreshments and tiny cupcakes decorated with candy pineapples, one of the many hotel amenities. As you might imagine, the appointments in each room are tremendous, with their signature elaborate beddings, designer toiletries, and wait: Is that a version of "The Bean" over the bed? Yes it is, rendered in bright yellow. The color scheme can be a breath of fresh air on a grey winter day and the colors are quite exuberant. It’s worth nothing that visitors can bring their pets, as the hotel is quite friendly to furry companions. Visitors looking for more room types can check out the Staypineapple website for more details on other features and suite options. 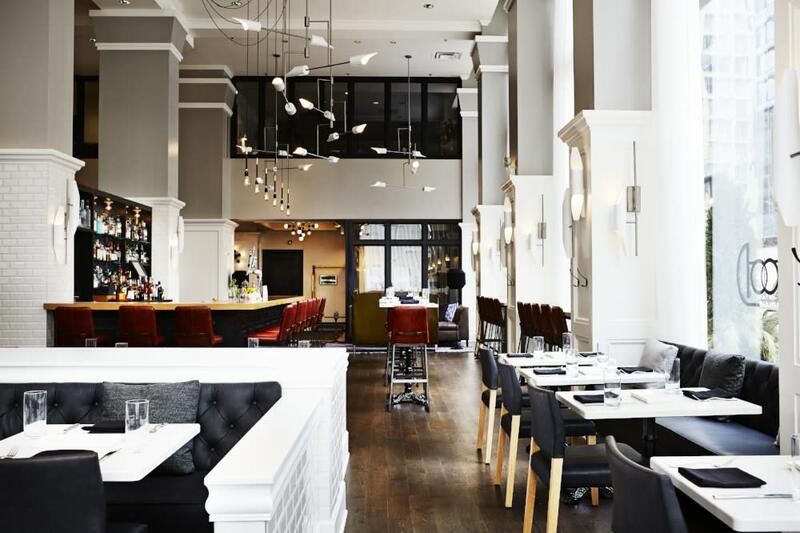 Appropriately named after designer Charles Atwood (who assisted with the design for the Reliance Building), this fine restaurant turns those wonderful large glass windows into a people watching opportunity as you dine. It’s great to see in the restaurant or at the bar and watch people make their way around the Loop to work, play, or just back home via the &apos;L&apos; train.